This ribbed beanie is a style saviour on cold days. 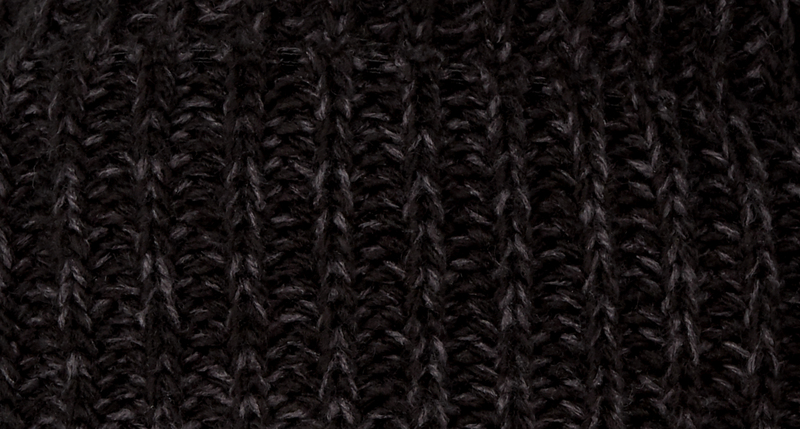 Warm, cosy and insulating in a chunky knit, the rollover hem ensures a slouchy, comfortable fit. This wool blend has a soft hand feel, a matte sheen. Made from a combination of natural, manmade fibres it automatically regulates the body temperature, retains its shape well, keeps you warm to, from the gym. Chunky Rib Beanie is rated 3.5 out of 5 by 2. Rated 5 out of 5 by Donnag from Awesome beanie! This is by far the best beanie I have ever owned!! Nice and big... love it!! Rated 2 out of 5 by barre girl from A little too roomy + flimsy for my liking I liked this in the store but it doesn't hold its shape so the top buckles in weird areas when you wear it. It's a great hat for someone who likes looser hats. I do love the heatherd look of the black and the rose gold tag.